Virtue is the habit of acting according to wisdom. 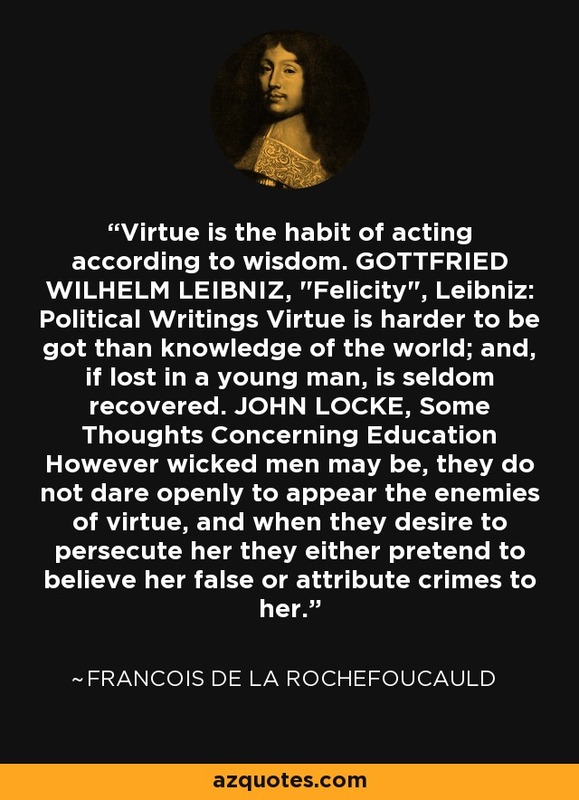 GOTTFRIED WILHELM LEIBNIZ, "Felicity", Leibniz: Political Writings Virtue is harder to be got than knowledge of the world; and, if lost in a young man, is seldom recovered. JOHN LOCKE, Some Thoughts Concerning Education However wicked men may be, they do not dare openly to appear the enemies of virtue, and when they desire to persecute her they either pretend to believe her false or attribute crimes to her.